Wanna look better at your very best? Don’t neglect about tresses. Well, at least for me, I didn’t quite put much effort in doing up my hair as compared to my skin or the food that I eat. And it’s definitely time for me to comb through all that tangled ends to reveal a new hairdo at The Comb Hair Studio. 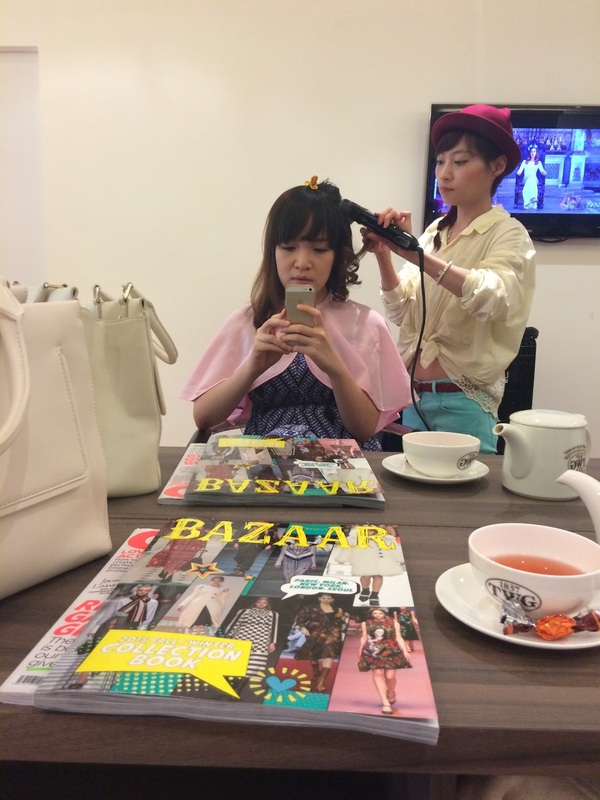 It’s a new hair studio that has just recently opened not too long ago and it came just in time to ride along the Korean Beauty waves with their leading Korean hair stylists. The exterior was welcoming but the interior is way neater. You would expect great magic to be happening here by the way how the hair stylists here working themselves around the salon chair, swiftly cutting and combing through their clients’ hair. My toes were already tingling with excitement and I couldn’t wait for them to inject in some liveliness into my hairdo. I was warmly greeted by their staff who ushered me to an empty seat and asked if what beverages I would like to order from the menu. Even being served by someone with your favourite tea or coffee at a salon would have already upped your feel-good factor. It has certainly brought up the service standards by a notch. Feelin’ over the moon as I was preparing for an event held at Capitol Theatre – it was the gala premiere of the musical, Singapura. I was already dressed in my long flowy dress and all I need is a matching hairdo to complete the look I wanted to achieve. I was really hoping that I could get a trim and hair coloring treatment done but time wasn’t on my side so I decided to just get my hair styled. I had a good hair wash with a relaxing scalp massage before I get my hair styled by Bella, a senior hair stylist at The Comb Hair Studio. I communicated with her on what I wanted my hairdo to look and she immediately knew what I wanted in mind. 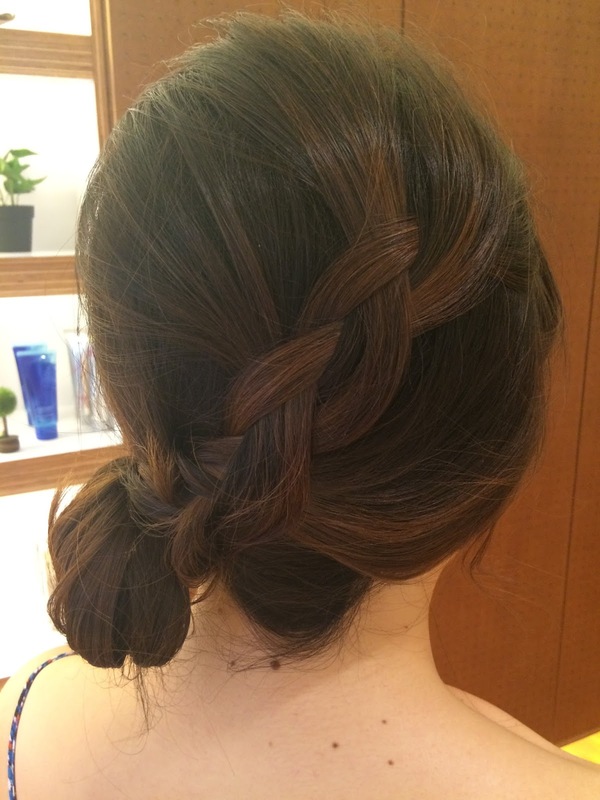 A loosely tied-up hair with some braiding done. 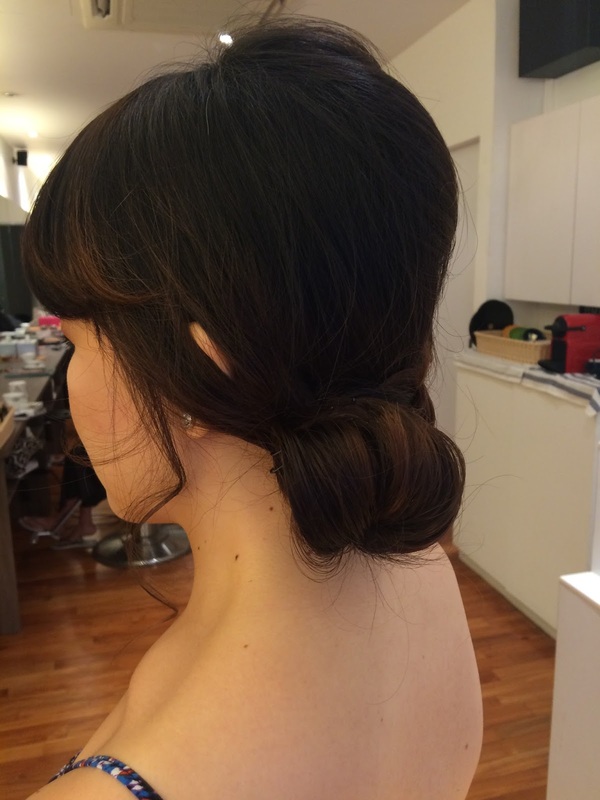 A soft and romantic hairdo yet simple in style. However, she mentioned that it might be somewhat challenging as my hair was rather short and it doesn’t help when my hair is not as thick and voluminous too. But she managed to plump up my hair volume by curling my hair. It was somewhat difficult for her to get my frayed hair tucked neatly under the bun but she managed to do it. It looks pretty neat from the front and side view. Overall, it did achieve that elegant look that I wanted it to be for . 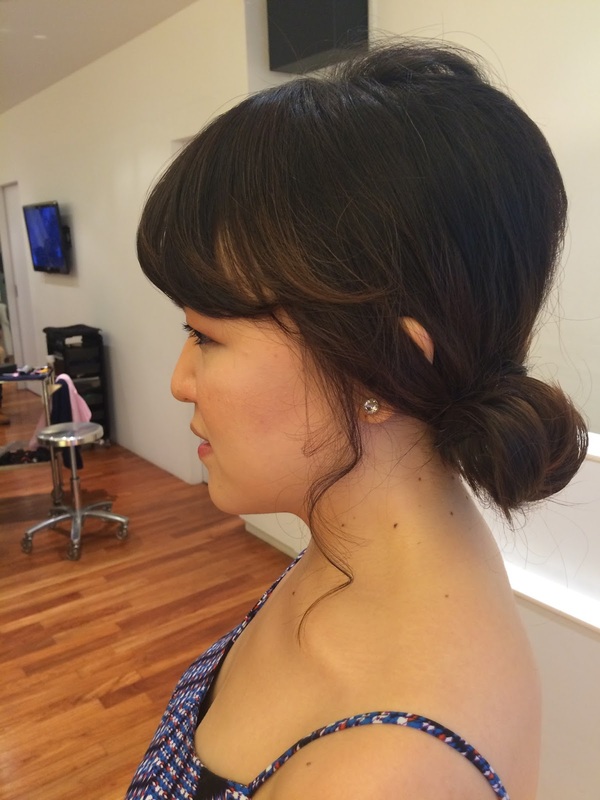 She did a great job in creating that soft romantic hair curls that falls along the sides of my face. It did made me look very Korean-ish for that instant. So, if you fancy that Korean superstar look, this is one of the salons to make that instant transformation. I only which I had more hair to create a solid braid. Maybe I needed fake hair! 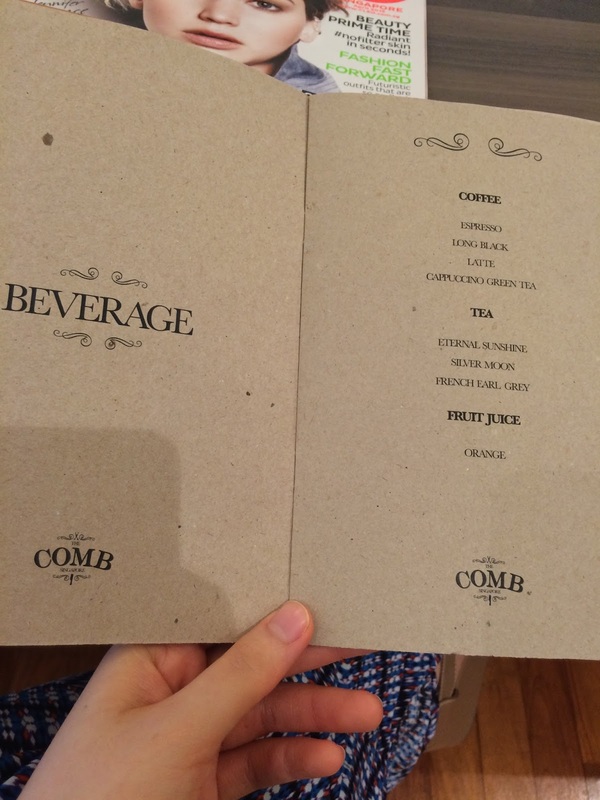 Many thanks to The Comb Hair Studio for their kind invitation.